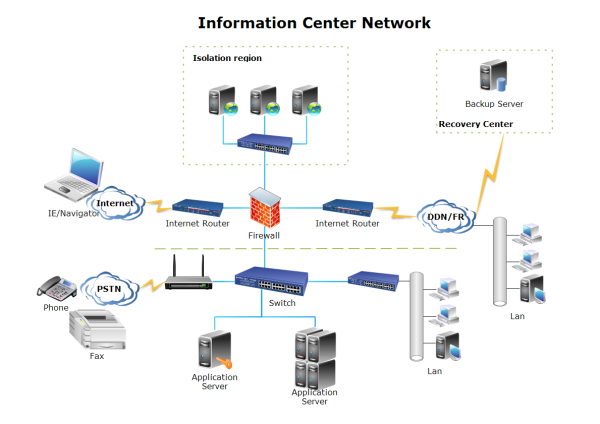 A sample of information center network diagram drawn with Edraw is provided to benefit users. It can be downloaded in vector format and used as a template for fast network diagram designs. The information center network template can save many hours in creating great network diagrams by using built-in symbols in Edraw. You can download and modify this template for your own network designs. Discover why Edraw is an excellent program to create information center network. Try Edraw FREE.